Torque announced their newest entry-level smartphone called Torque Droidz Buzz. 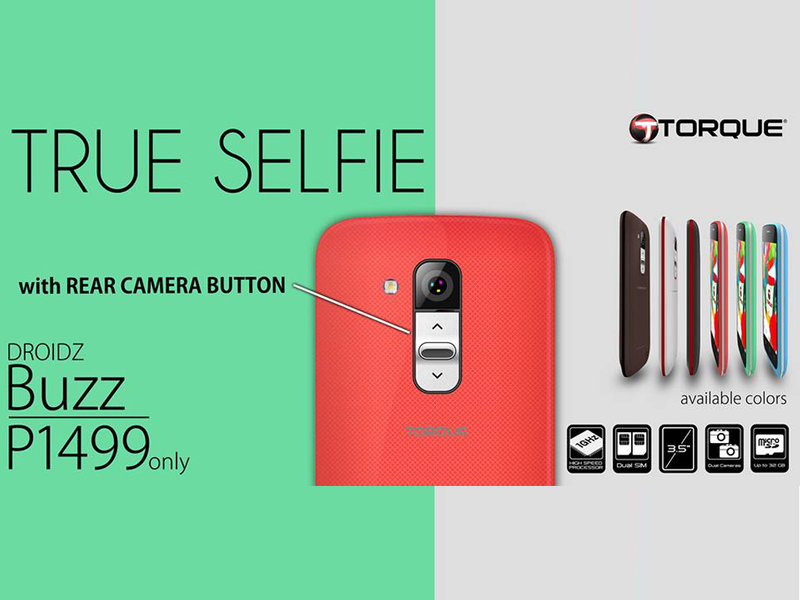 Torque boasts its physical camera button located at the back of the handset (just under the rear camera) to capture precious moments easily with just one hand. The Torque Droidz Buzz sports a 3.5-inch HVGA display, 1GHz single core processor, 512MB of RAM, 4GB of expandable internal memory, 2MP rear and front camera and Android 2.3 Gingerbread operating system.